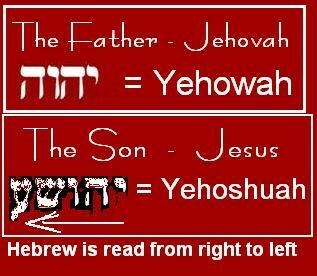 YHWH [Yehowah (Hebrew) or Jehovah (Germanic)] is the only proper name of God in the Tanakh in the sense of a personal name. Note: The four-letter name for the God of Israel is YHWH (Hebrew יהוה ). It is the most important name of God in Judaism, and is used most often in the Hebrew scriptures. It is also known as the Tetragrammaton, a term from Greek τετραγράμματον, meaning “[a word] having four letters”. Melech HaMelachim—”The King of kings” or Melech Malchei HaMelachim “The King, King of kings”, to express superiority to the earthly rulers title. The created world has a master, and that must be considered. Looking at the Word as a prescription can be quite healthy. the Truth is, the more you Keep On reading it, Keep On seeking its information, the more the above intimidating distractions, which satan uses to discourage you with, will disappear and the information comes out like a flaming torch of light. 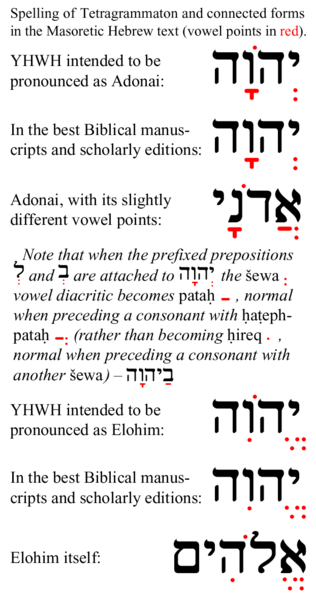 General Revelation in Psalm 19: Here, the name used for God is El, the shortened version of Elohim. The emphasis is on God as the Mighty One, the One who is powerful and strong — and this is seen in His work of creation. As Romans 1 says, ‘For the invisible things of him from the creation of the world are clearly seen, being understood by the things that are made, even his eternal power and Godhead.’ God’s power and divine nature can be seen in His creative work. If Scripture can be trusted that ‘it does what it says on the package,’ we should take notice, because the package says it does quite a lot. God our creator’s character is flawless, too perfect for human description. God has many name, because His attributes rises to any need you possibly could have. Here are some other names of God, by all means not a comprehensive list. I am not able to study any further, else this blog will never be published. Send me input of your research if you like. This chapter can go on forever, because God is so awesome. Basically I spoke things that I desired as if they already existed. All of these statement began with I AM. I must have said, I am HEALTHY over a million times. I was making statements outside of my present human experience. I believe that in doing this I asked the divine to make them a reality in my present life…………..spoken in faith. God expects for us to live in Spiritual growth. We need to graduate from the milk of God’s Word to the meat of His Word. If one cannot keep up with the footmen how can he run with the horses? Make room for God in your everyday living. He should be the neucleus of your life, not beside, on top, behind, nor under you. You radiate only because of Him. We should remember that the Father of Jesus is the Elohim Hashem Yah, The Only One God and there is no other God of gods, only the ever existing Jehovah created. Jehovah was the “Yah” (“Ja”) or the “Yes ” (“Ja”), the Being; without Him no life was or is possible. Yahweh and His Spirit, His Thinking are one and the same not separate. The one placed by the Spirit in the womb of the virgin Mary is the “Yah shua” the Jeshua who was given this set apart spirit and was guided by “Yah”, the being of and from God. In all his ways Jesus took the guidance of God His Spirit in him up and was completely observant to Him. We also should try to listen to this Holy Spirit and follow His guidance.